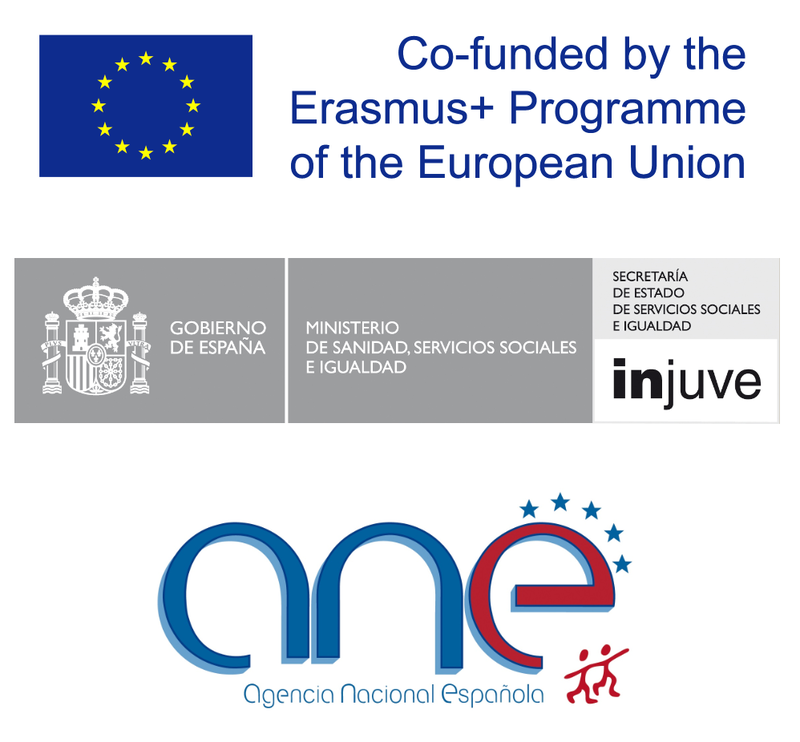 This project is coordinated and managed by a transnational partnership composed by five organisations from different countries which work on the field of youth participation and inclusion. You can find here all the details related to these organisations in case you want to contact them. Description: Entretanto Entretente /Bitartean Jolasean was founded in 2008 in the north of Spain, in Vasque Country. Racism, xenophobia, discrimination, intercultural awareness and diversity are the subjects of work of the organization since its founding. The main objective of the association is to promote a positive coexistence of the citizenship trough the intercultural dialogue and the community social work. The entity creates spaces where the interaction of people with different backgrounds let an intercultural learning through sharing experiences. That is an important step towards social cohesion. It also works to counteract negative rumours and stereotypes related to cultural diversity. Integration activities are aimed at all segments of the society and the methodology used focuses on cooperation among locals and immigrants. Creativity and art are some of the tools that the association have frequently used to create meeting places for people with different cultural diversity. Bitartean develops since its creation activities framed related to intercultural diversity: intercultural learning and the social integration through tools and local initiatives that contribute participation in the local area. Description: The entity KOMUNIKUJEME o.p.s. is a non-profit organization which general aim is to proceed better climate in society (by all the means), that are involved in European level and EURO- citizenship. Main areas of activities related to the organisations are: Education, social, health and humanitarian, work and social work, volunteering, sports, design and vocational activities, environmental and cultural. It is specialized on the analysis, validation and methodological framework on the strategy of the personal development and training of, youth, adults, seniors, related and linked to the labour market. Its staff has experience in organization, facilitation and training for adult learners and other different target groups according to the age and background. Komunikujeme o.p.s. provide high quality education and internships for Czech and foreign students, among Erasmus+ programme. Description: European Institute for Local Development (EILD) was founded in 2009 as an independent non-governmental organization whose members are European citizens and organizations interested in supporting regional development activities. The General Committee is formed by local development stakeholders and specialists from various sectors of the civil society and European Member States: academics, NGOs, development agents, association managers, civil servants and social economy companies, as well as European organizations for local development. EILD’s mission is to consistently provide innovative high quality services that improve the economy of regions and the quality of life in urban and rural areas by supporting and promoting experience sharing between its members and partners for sustaining international cooperation, skillful networking and further progress and growth. The organisation’s goals and network come in support of fulfilling our mission. Location: Terranova da Sibari, Italy. Description: Futuro Digitale Association works to promote youth empowerment through concrete possibilities of development connected to elearning, traineeship and personalised patterns of working periods. Together with the Department of Business and Law of Cosenza University, the Association has structured a formative liaison which allows students to work and learn at the same moment in order to be introduced to the job market. What is more, Futuro Digitale officially obtained the role as job agency by the Ministry of Labour – this is implemented through non-formal education strategies which enable youth to further reflect on employability skills and entrepreneurship. Within this field, Futuro Digitale has been implementing workshops to enable young people to better approach the job seeking process. In fact, it has focused on the job seeking on several media and on specific workshops to teach youngsters to present themselves and their sills throughout the use of the Curriculum Vitae (namely the CV set on the European format). Description: Network MaMa combines and represents youth centres and organizations which are active in the field of youth work in Slovenia for the purpose of supporting young people and their higher quality leisure time and a better life in society. Youth Centre is an organisation that works in the local community in order to provide young people associative ways of socializing, encourages participation, volunteerism and non formal education, contributes to social cohesion and social integration of young people, exercises mobility and international integration of young people, providing information for young people and preserves autonomous youth space. Network MaMa currently brings together 46 organisations. Network MaMa through its work and the work of its members, enables, carries out and develops youth work, encourages the development of youth policy through supporting quality youth programs and programs for young people that contribute to non formal learning, training and acquiring skills and social integration of young people.